Avoid Making These Big Mistakes as a Short Sale Investor- Learn Here! Investing in short sale properties can be a great way of making a profit in a fairly short amount of time. With the housing market slowly recovering after the big hit that it took during the recent recession, there are still plenty of homeowners who are underwater on their mortgage loan, and their best option is a short sale. Hundreds of thousands of homes are on short sale lists, giving real estate investors a great opportunity to make a significant amount of money. Unfortunately, many of these short sale and foreclosed properties come with issues, which can cause expensive problems for some real estate investors, especially for the ones who are just starting. Damage that is undisclosed by the seller or undetected during the home inspection can end up costing you tens of thousands of dollars, putting an end to your career as a real estate investor before it even started. 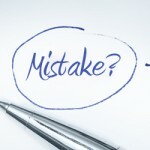 In this article, you can read about the biggest mistakes that a short sale investor can make. Theoretically, investing in short sales is a pretty fast way of making money, but it is an investment, after all and, like most investments, it requires patience and preparation. Rushing into an investment and expecting to quickly make some cash can lead you into making some serious and costly mistakes. As a short sale investor, you should hope for the best, but be prepared for the worst, meaning that you do your homework beforehand and are able to efficiently take care of any problems that may come up. Not every short sale will go through, so, even if you think you have found the perfect deal, keep your options open, as a better deal could be just around the corner. With such a large inventory of foreclosed and distressed homes, focusing all of your energy and money on a single property is not the most profitable move. The short sale process follows some pretty strict deadlines, so not being able to follow them can result in you losing that deal. Make sure that you have everything ready in time, from paperwork to scheduling the home inspection. Starting all of the necessary proceedings early, such as the loan pre-approval or home inspections, makes it easier for you to follow short sale deadlines and deal with delays. The few hundred dollars that you have to spend on a professional home inspection are not worth the thousands that you will have to spend later if the house has serious damage. Simply because the outside of the house looks good doesn’t mean that it is in a good shape. Unseen problems like roof or foundation damage can be very costly to repair, and possibly leave you with no profit at all. Pay close attention to all of the details and get a comprehensive insurance policy from the home inspector. Short sale investing is normally a sure way of buying a home cheaper, but that’s not always the case. A mistake, like overpaying when investing in real estate, can put you out of business or end up being just a waste of your time, in the best case scenario. Do your homework before investing your money and find out how much similar properties have sold for in the area in the past few months. Real estate short sale investing is a good way of making a profit for a knowledgeable investor, who takes the time to research not only the whole real estate investing process, but also the properties that he or she is investing in. It is hard to recover from mistakes in this business, so make sure that you don’t end up having to look for another job or even worse, broke, because you haven’t paid attention to all of the details that short sale investing involves.